Sri Lanka, who were supposed to tour India for three Tests in August 2015, will now host the series, according to SLC secretary Nishantha Ranatunga. The decision has come in the wake of Sri Lanka agreeing to plug the gap in India's home calendar after West Indies' pullout. "As we are obliging India with a five-match ODI series there next month, India are obliged to return the tour next year and we have switched the Test series," Ranatunga said. The BCCI, however, is yet to confirm the swap. It is understood that the BCCI has held preliminary discussions with SLC in this regard. The proposal of switching the venue for the 2015 Test series will be put before the working committee for consideration, which will "finalise" the arrangement, according to a senior BCCI functionary. By hosting the three-Test series with India, SLC stands to make around $ 7-8 million, according to Ranatunga. There will be no ODIs or T20Is included in the itinerary. 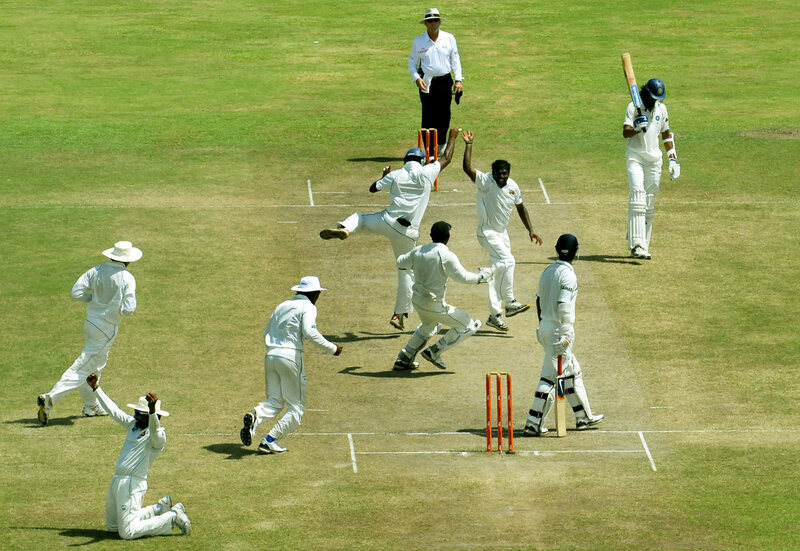 India haven't hosted Sri Lanka for Tests since 2009, and the last time Sri Lanka hosted India for Tests was in 2010, the series that marked the retirement of Muttiah Muralitharan. The next available slot for a Test series between the two teams, as per the new FTP, is in August 2017 when India visit Sri Lanka for three Tests, five ODIs and one T20.